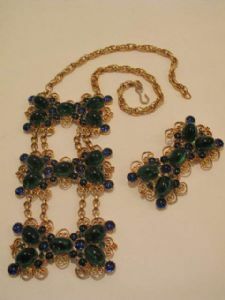 1960 s Emerald and sapphire coloured vintage collar brooch ensemble SOLD . 1960's Collar/ brooch vintage ensemble. 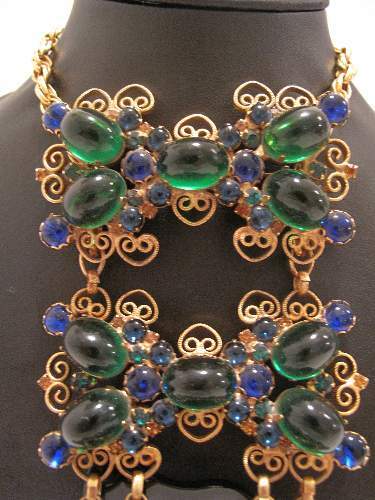 Gold filigree wirework ' bib' style necklace, oblong shapes set with large emerald coloured cabochons and smaller sapphire coloured glass stones. 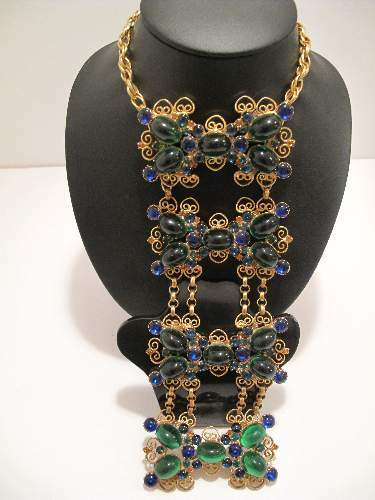 This exotic styled piece is designed to be worn with a 'barely-there' dress, 100% fashion!